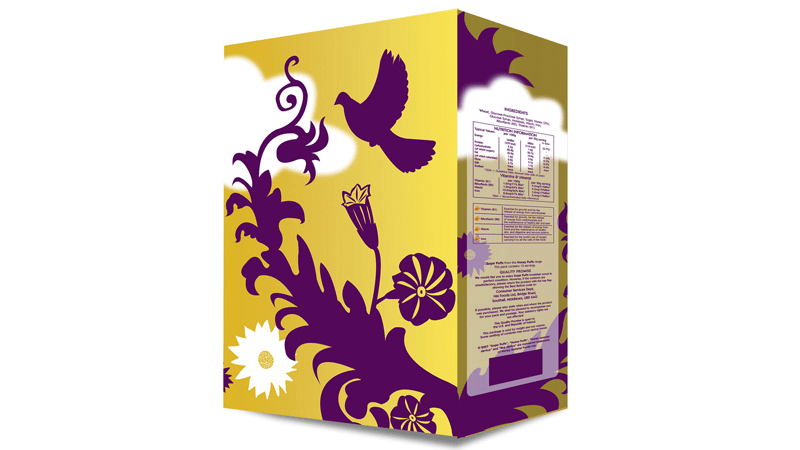 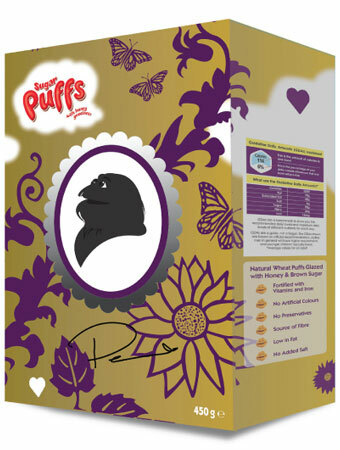 Brief: Design and illustrate bespoke Sugar Puffs (cereal) packaging as part of a PR campaign for Honey Monster Foods. 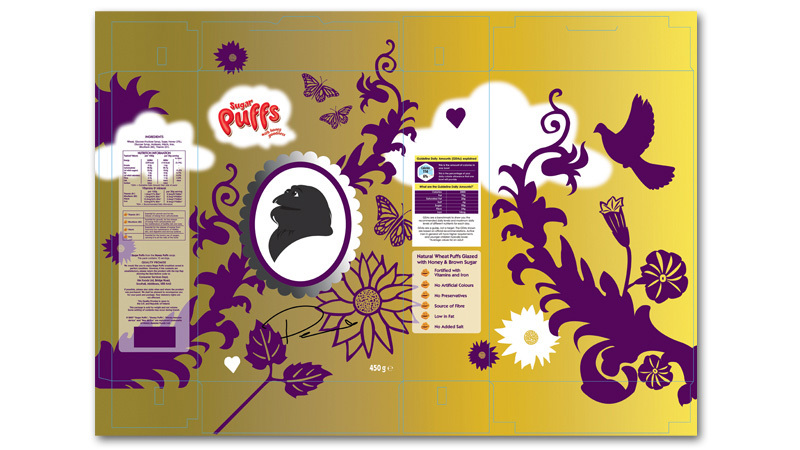 Solution: We worked closely with Frank PR, Honey Monster Foods and celebrity Pearl Lowe to design, illustrate and bring the final "boudoir" design to life. 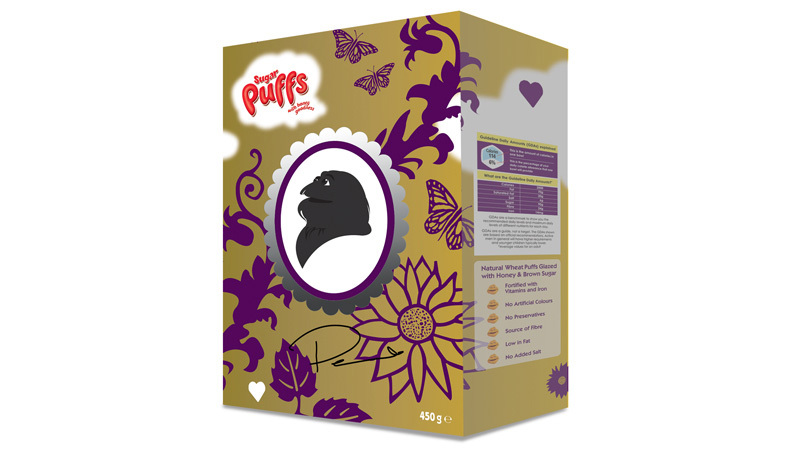 The final packs were sold as a limited edition in select stores across the UK and generated a huge amount of PR for the Sugar Puffs brand.